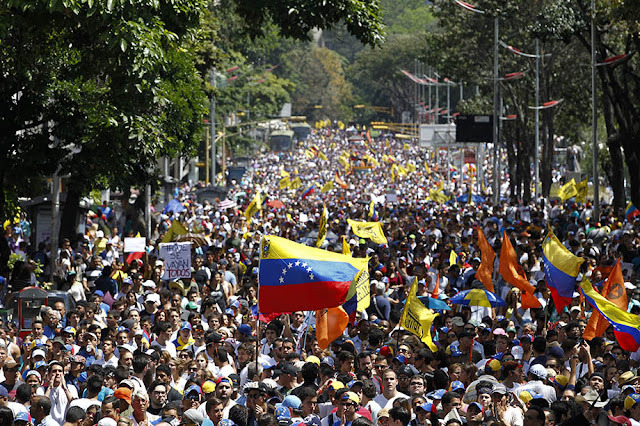 Venezuela is in a state of severe turmoil. Citizens are protesting despite heavy governmental suppression and many of the demonstrations have turned violent. This is all a result of movements by the ruling governmental party to dismantle the opposing one, through arrests, silencing and ultimately the dissolution of the party. Millions of Venezuelans have taken to the street to make their anger clear and more still have taken to social media to amplify that anger. Increased instances of Twitter hacking during times like this are far from uncommon, but now Venezuelan accounts are falling victim to a new type of hacking, which has been dubbed the 'DoubleSwitch'. It involves hacking into a given Twitter account, changing the handle and then opening a whole new account under the old one. In doing this, the hacker will send the owner of the account to the wrong place when they try to recover it, and make it almost impossible to track down their original one. One notable Venezuelan activist and another journalist have already been hit, and in both cases the hackers used their accounts to spread misinformation about the nation's political climate, and the protests themselves. They would use the new, imposter account to do this, despite the fact that previous followers don't carry over. Even with that in mind, the name and the nature of the tweets still creates a lot of confusion. Thus far the technique has only been observed on Twitter but security experts have said that there's no reason it might not start happening on other platforms, particularly Facebook and Instagram. Facebook implement a different, arguably better security system, but it's far from airtight and creating 'imposter' accounts is entirely possible. Coping with name changes is new ground for both companies, and there's nothing to stop a name being registered under a different account name once the original has been compromised, it's a pretty massive loophole. For activists, especially in places like Venezuela, Twitter is an invaluable resource. Hacking instances like this could majorly disrupt their lines of communication. Twitter never asked to be responsible for anything like this, but they've yet to even address the fact that it's happening and that needs to change.